Traditionally, saisons were brewed by the farmers of the Wallonia region to be consumed in the warmer months. So, as the mercury starts to rise across Australia, we decided to feature a brewery that has put French and Belgian inspired farmhouse ales at the heart of everything it does as part of our ongoing The Story Of... series. 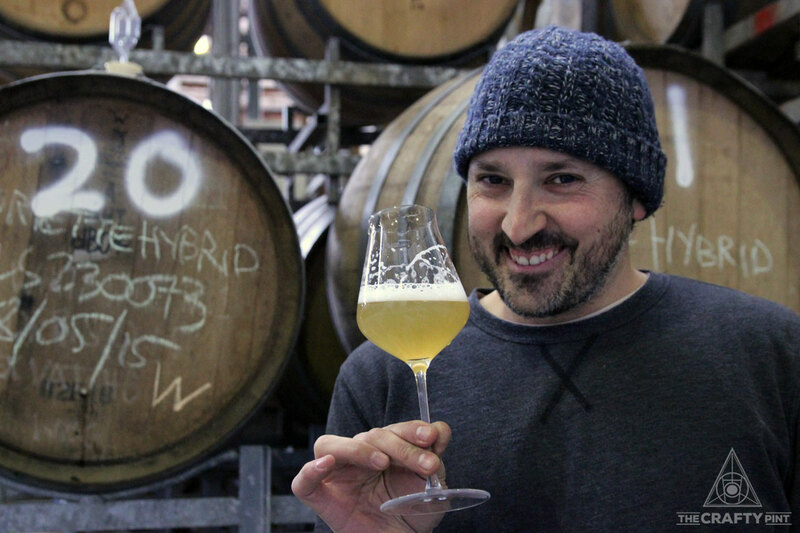 Saisons are beers that many brewers and chefs favour for their subtleties and, thanks to their lifted, refreshing and dry character, seem almost perfectly designed for the warm Australian climate. That said, they're yet to catch on in a big way, even with Bridge Road Brewers securing nationwide distribution for its Chevalier Saison through Dan Murphy's last year. 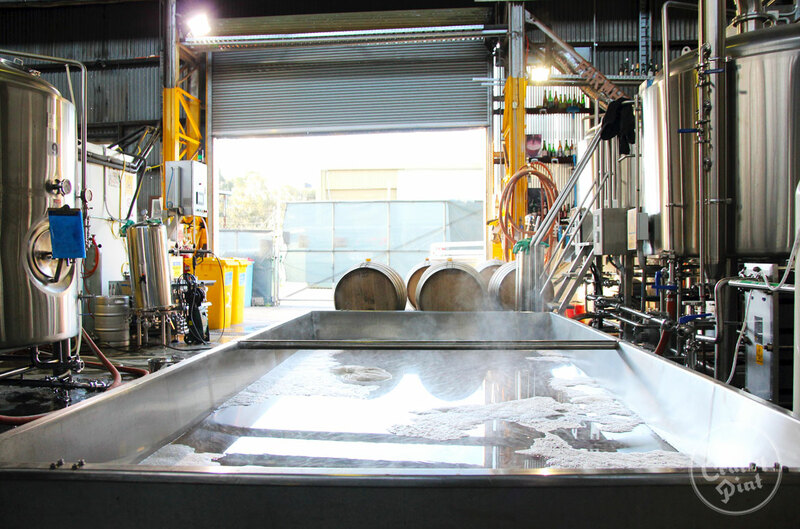 While many brewers release one or more saisons annually – some featuring the addition of fruits and spices, others spending time in oak – none has placed them on a pedestal in quite the same way as Melbourne's La Sirène. The "urban farmhouse" brewery, located next to Darebin Creek in Alphington, launched with its flagship Saison – brewed with a yeast founders Costa Nikias and James Brown had imported from a small, traditional family brewery in Europe – and has since released a broad array of farmhouse style ales. Most feature the house yeast, which today has evolved into a mixed culture featuring that original strain plus myriad wild yeasts garnered from the brewery and its surrounds. Since moving from gypsy brewing at the former Jamieson Brewery in regional Victoria to its own brewery, La Sirène has also expanded its palette in many directions. It is four or five beers into a keg only series of single hop saisons, which has featured the likes of Cascade and Mosaic to date, has been using a coolship (pictured below) for a number of brews over the past couple of winters, has well over a hundred barrels filled with various liquids (and, in some cases, fruit) awaiting release either straight or as blends, and has released multiple beers 100 percent spontaneously fermented with the yeasts and bacteria of Darebin Creek. Locally, the addition of the Urban Pale in cans last year – a beer that in its latest, even hoppier iterations is akin to a New England style pale layered atop a farmhouse ale – helped bring the brewery's beers to a wider audience. 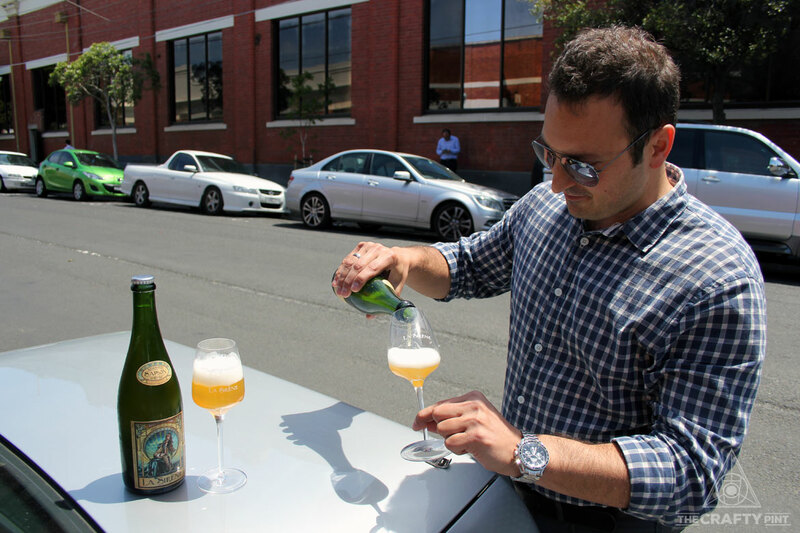 Overseas, beers such as its all Australian ingredients Paradoxe sour ale (complete with subtle green and gold-ing of the iconic La Sirène label) are winning over drinkers too. These days, with co-founder James Brown having moved on to other pursuits a few years ago, Costa's been joined by wife Eva in running the brewery. Indeed, it was Eva who informed us of the reason we couldn't get hold of any photos from the very earliest brewing days: "They were too busy geeking out to take photos!" she says. It's a geek's passion for a storied chapter in beer's colourful history that is bringing joy to many beer drinkers. And here's the story behind it. What saisons / farmhouse ales sparked your interest in such beers? 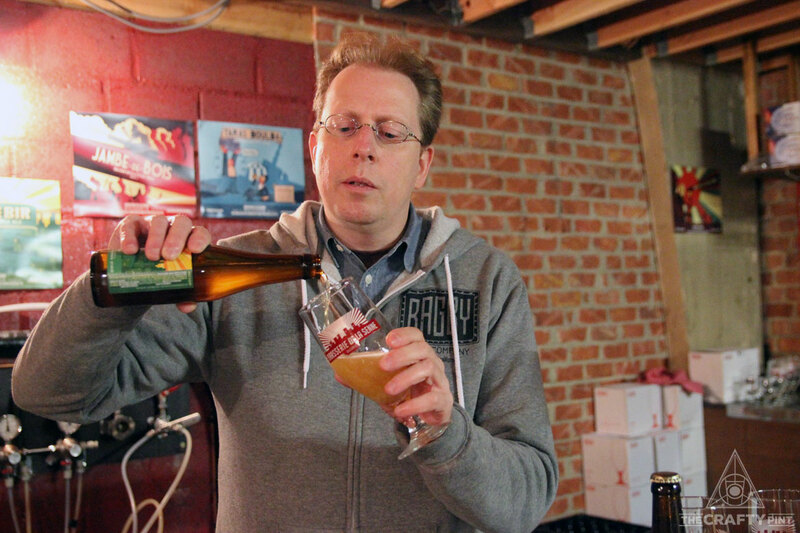 Brasserie de la Senne co-founder Yvan de Baets pours a Zinnerbir – The People's Beer – on a past Crafty Pint visit to Brussels. Good question. Being a winemaker and coming across to the dark side, I was already conditioned for beers with wine-like characters so gravitated towards beers that had those qualities. So beers like Brasserie de Bastogne, Fantôme, Brasserie Dupont and more recent inclusions like Brasserie De la Senne (Zinnerbir) really impressed me. All these beers had complexity, intrigue and outright class. I admire and aim for beauty and finesse in beer; I think farmhouse ales and saisons when done well can really speak to this. What do you love about them so much? Making farmhouse ales for me is, in a sense, a very personal artistic endeavour – an opportunity to explore the wonderful world of yeast and yeast characteristics and create idiosyncratic ales that impart a sense of place and time and, of course, beauty in taste and experience. I love the challenge of the unpredictability of the yeast, that it’s so temperamental and requires specificity and care right throughout the process, so along with this whole yeast wrangling there is an element of nurturing, and allowing the yeast to express its optimal profile and the way it interplays with other ingredients is yet another dimension. So I guess the multidimensionality, versatility and unpredictability of farmhouse ales and saisons will always be intriguing to me. When did you first start brewing them? Costa pouring a glass of the first ever batch of La Sirène Saison in a Collingwood back street after our first interview back in 2011. I started brewing Farmhouse Ales about eight years now. Back in 2009, we developed our first beer – our Classic Saison – and it took a lot of trials as we wanted to ensure our first saison was exactly how we had imagined it. We looked at the style guidelines for saison when we started and could not understand how they came up with it, so we essentially threw out the rule book and got to work on creating a farmhouse ale in our "House style" that paid homage to the early provisional times of Southern Belgium where these styles were born, whilst weaving in our own interpretations of these artisanal ales to the mix. Where did the inspiration for the artwork come from? We have always loved Art Deco and, in particular, Art Nouveau, so we had always imagined an art piece. We came across an artist in Egypt who was doing some amazing works and we asked him to create a Siren for us as a result. The image of a Siren was really powerful for us, from elements of transformation (like our bottle refermentation processes) to the earlier reference in Homer’s Odyssey of Sirens calling, the long, arduous journey of time and the obvious adventure – very much like opening your own brewery! 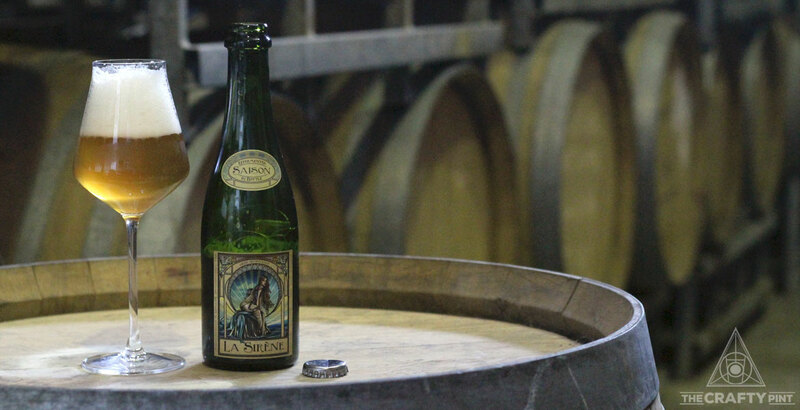 La Sirène is French for The Siren and really is what La Sirène is all about, responding to a calling of passion to make Artistic Ales with a "sense of place", allure and beauty that reflects our site and, to some, degree the maker. How many saison variants have you now released (pack and keg)? 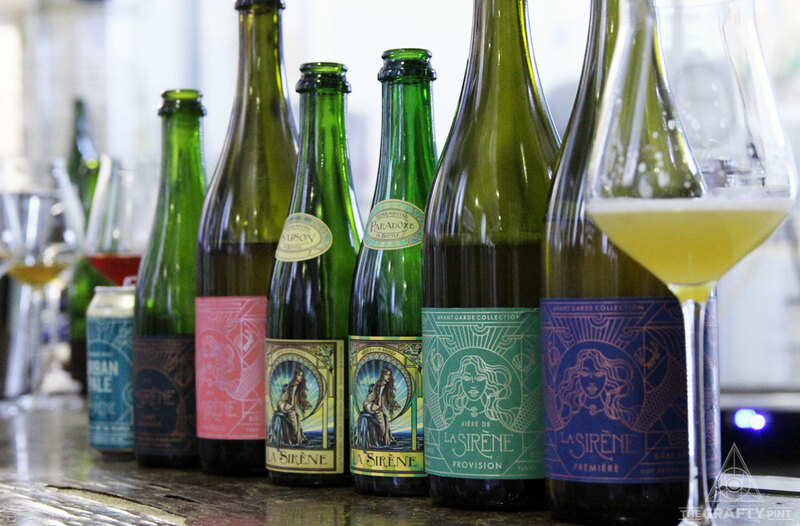 Part of the La Sirène lineup at a recent sampling at the brewery. D'Affinois out of shot bottom left. We have made more than 75 different beers (variants of saisons/farmhouse ales) and brewed most of them multiple times. We have no intention of slowing down on this theme, especially with all of our recent explorations into sour beers and the likes. We have also been exploring the world of saisons through the lens of hops as demonstrated via our recent foray with the Saison Hop Series. I have ideas and inspiration enough to plan out the next five years of beers – farmhouse ales, of course… My wife says you cut me and I bleed saison. She’s probably right. What's your favourite of them all? I think for me at the moment our Bière de Provision is the beer I most resonate with (and perhaps drink the most of). 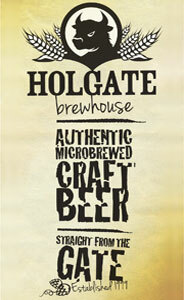 It is a very simple beer made with one malt, one hop, water and wild yeast – a true Table Beer. It has an ABV of only 3.9 percent but you can’t tell and there is no compromise on flavour whatsoever; it has a wonderful elegance and finesse about it. This is a bière made in our "House Style" and probably the beer I would be happy to make if I could only make one beer. What do you make of the style's impact in Australia since you launched? People have definitely become more aware of saisons across Australia since 2010, however, there is still an element of exoticness about it. The average punter may not know or have heard much about them; some venues are hesitant to put them on as a result. It would be great to see people embrace the style more, especially with food pairings, which we actively encourage with all the events we get involved with. When we entertain at the brewery there are always gourmet cheeses as standard. It’s a style that can also bring non-beer drinkers across – it’s so much more versatile and approachable than most people realise due to the integration of its components such as sourness, bitterness, malt drive, yeast forwardness and finish; these elements tend to be rather balanced in good saisons in our experience. How has the house yeast evolved from the original delivery? Costa Nikias in the more traditional surrounds of La Sirène's Alphington brewery. Our house yeast has definitely evolved and certainly changed over the last eight years and it is now a true mixed culture that has a good proportion of local indigenous yeast amongst it. This has been a very natural progression, which has allowed us to express our sites’ personality more and more. What is your ideal situation in which to enjoy your original saison? At least one every evening with dinner after work, or two if you include one pre-dinner with a social chat – that’s just on weeknights. Weekends definitely with friends and family but always with food and, if not, at least with cheese. And the perfect food pairing? I can’t go past enjoying it with garlic mussels and soft cheeses such as the Délice de Bourgogne or a D’Affinois. What's been your happiest moment involving La Sirène? Apart from the fact that I am still only making farmhouse ales and still feel there is so much to explore and release, I would have to say the house yeast project and its development is something I am really passionate about and have had great joy in developing. We have been banking all the many strains of yeast we have been catching at our brewery since 2010, back when we were using a small pilot coolship that's still part of the brewery today. We have caught over 140 isolates and have kept ten yeast and three bacteria as part of our "House Culture Club" – catching all these buggers has been an absolute blast! Check out the other beers in the series here. And, if you've got a beer you'd love to see featured, drop us a line.